Aquarium water is the most important environmental component for your fish. Unfortunately, aquarium water is often overlooked and sometimes neglected. While humans can leave a smoky room or one filled with deadly car exhaust, fish are in a closed environment and can't escape if the water becomes toxic or dangerous. Learn about water factors—like ammonia, nitrites, phosphates, and pH—that can cause harm for fish if not mitigated and balanced carefully in a fish tank. Ammonia poisoning is one of the biggest killers of aquarium fish. It occurs most often when a tank is newly set up. However, it can also occur in an established tank when too many new fish have been added at one time, when the filter fails due to power or mechanical failure, or if bacterial colonies die off due to the use of medications or sudden change in water conditions. Any time your fish are in distress or you have sudden fish death, consider ammonia as a possible cause. Algae growth is a fact of life that every aquarium owner will face sooner or later. Some algae growth is normal and healthy, but excessive algae growth is unsightly and can be hazardous to fish and plants. Lighting, too much fish food, and water changes can affect plant growth in your aquarium. If algae is a continuous problem, you might even want to consider adding an algae-eating fish. Is aquarium water testing really necessary? Some fish hobbyist experts say categorically, no, while others test everything and anything. 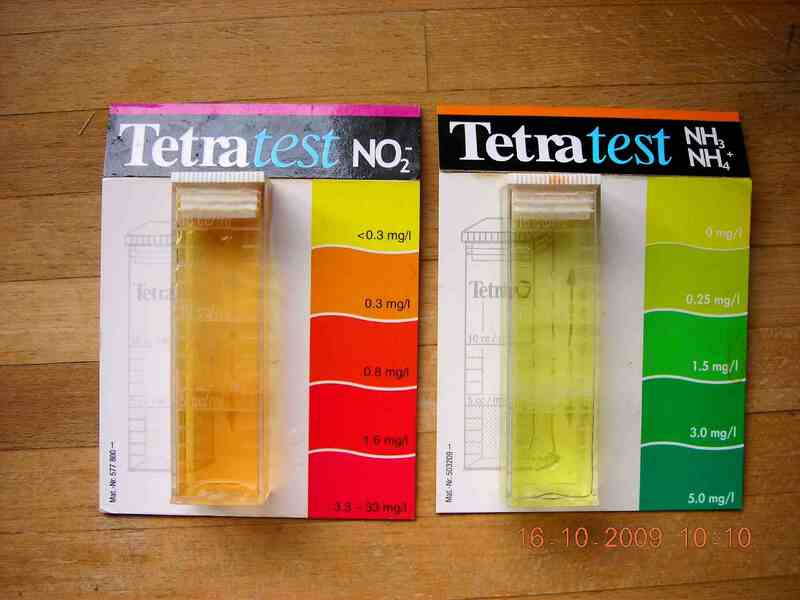 Water tests can be a great help to you if you know your tank is having a problem, but you are not sure the cause. There are varying levels of testing that are looking for different things. What should be tested, and how often, is not a simple answer—it is all dependent on your particular tank and the problems you think you are experiencing. Cloudy water can have several causes and depending on the cause, there is usually a corresponding cure. There is no magic bullet solution for cloudy water, it does take a little investigative work to come up with a solution. Based on the color of the water and the circumstances leading up to the appearance of cloudy water appears, you can usually find the root cause. The use of rocks in your aquarium can affect water chemistry. It is often very difficult to know how and if a rock will affect your tank. But, there are some ways to determine if some rocks you are about to use in your tank are safe or not. Can water changes kill your fish? The quick answer to this is yes. Anything can kill your fish. The amount of water you change at once and all the factors from temperature to pH and chemical composition to bacterial colonies may adversely affect an aquarium. Water changes are a must for a healthy fish tank. Learn more about the safe ways to do water changes. Nitrite poisoning follows closely on the heels of ammonia as a major killer of aquarium fish. Just when you think you are home free after losing half your fish to ammonia poisoning, the nitrites rise and put your fish at risk again. Anytime ammonia levels are elevated, elevated nitrites will soon follow, and can quickly be lethal. Look for the warning signs of nitrite poisoning in your fish tank. The nitrogen cycle goes by many names: cycling, nitrification, the biological cycle, start-up cycle, and break-in cycle. No matter the term you use, every newly established aquarium goes through a process of establishing a beneficial bacterial colony. Older aquariums also go through periods during which the bacterial colonies fluctuate. Failure to understand this process is perhaps the largest contributing factor to the loss of fish. Learn about the nitrogen cycle, and how to deal with critical periods during the cycle. Phosphates are present in every aquarium, even though many aquarium owners are not aware of it. If the aquarium is not properly maintained, the phosphate levels will rise and contribute to algae growth. The results are not only unsightly but can become harmful to your fish. Learn what causes phosphates to build up in your aquarium, and how to control the phosphate level before it can reach harmful levels. Water pH measures how acidic or alkaline the water is. There is no one pH that is good for all fish. There are many different species of fish that live in different water environments like ocean, ponds, and estuaries. Saltwater fish may prefer a pH of 8 or higher, meanwhile freshwater fish may be more comfortable in a pH of 6 or 7. The best advice is to learn all you can about the species you plan to keep and attempt to mimic its natural habitat in your aquarium environment.